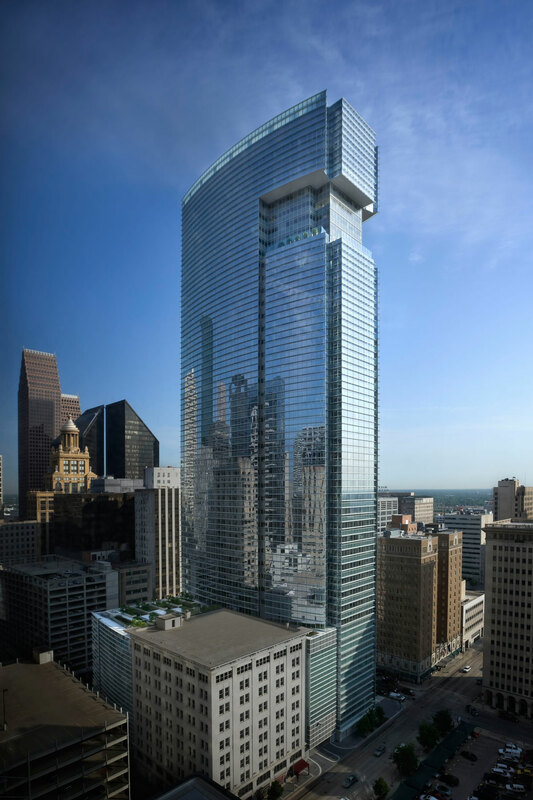 811 Main is a signature 46-story office tower located in downtown <?xml:namespace prefix = "st1" ns = "urn:schemas-microsoft-com:office:smarttags" />Houston. 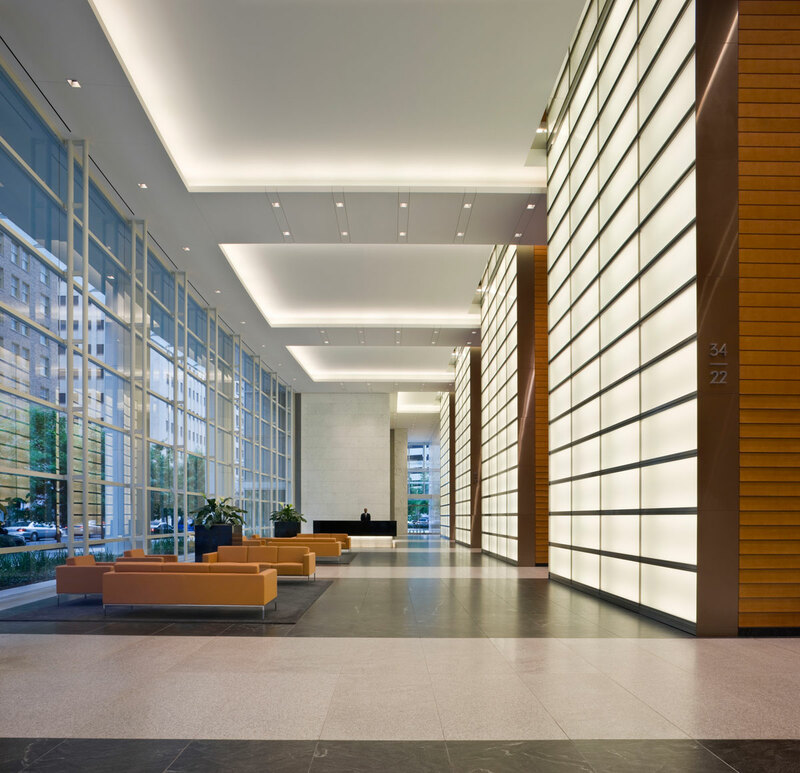 Designed by the nationally recognized architectural firm of Pickard Chilton, 811 Main contains approximately one million square feet and is clad in horizontal sunshades of glass and aluminum that wrap around the building’s curved north and south façades. 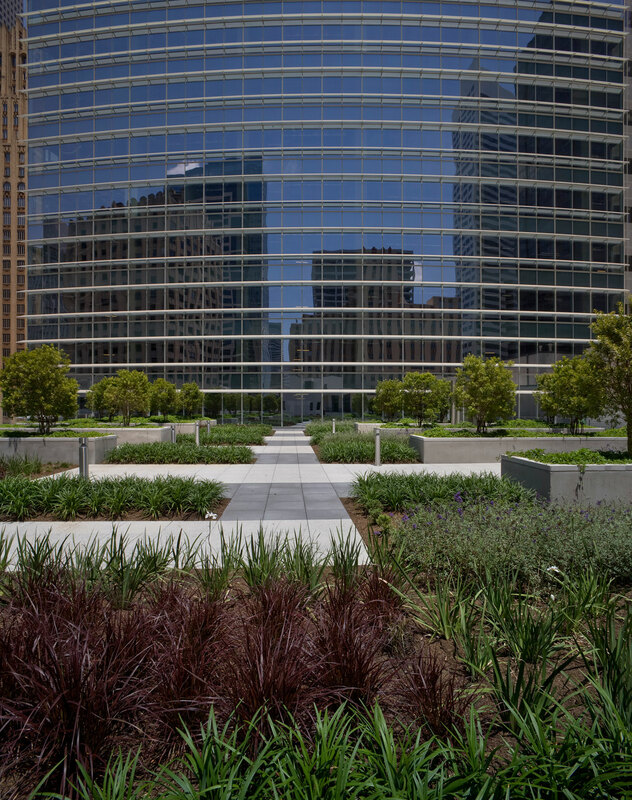 A signature feature of 811 Main is a dramatic 39th-floor sky garden recessed into the building’s form that reveals planted terraces and a five-story crystalline atrium. Vertical transportation is provided by 18 high-speed elevators, and three elevators servicing the ten-level parking garage, which contains 1,118 parking spaces.